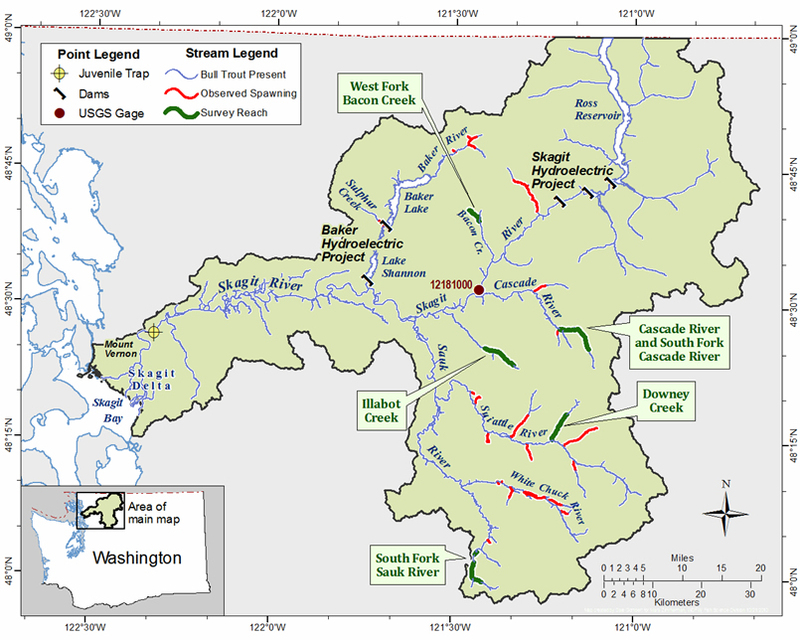 Skagit River basin map (USFWS 2013). This map shows just a handful of the thousands of tributaries that support Skagit salmon runs. The Washington State Supreme Court posed this question today in its decision ruling in favor of Washington’s rivers. 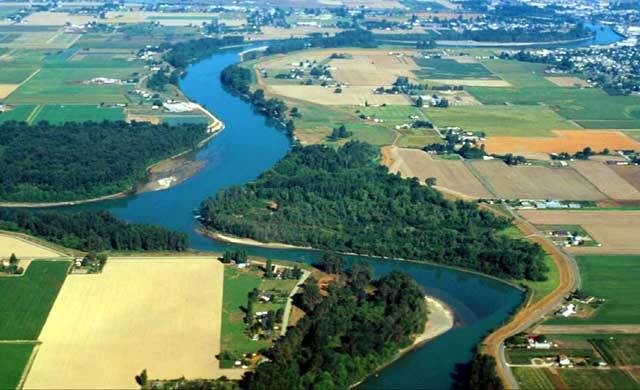 At issue was whether the instream flows set by rule for the Skagit River and tributaries may be annulled in favor of development for rural housing and other uses. The Court said ‘no’ – these instream flow rules are “water rights for the river,” and can only be revoked under narrow circumstances. The ruling affects not only the Skagit, but several other rivers in for which recently adopted instream flow rules create development ‘reserves,’ including the Stillaguamish, Quilcene-Snow, Salmon-Washougal, Lewis, Wenatchee, and Entiat Rivers. The ruling will also affect Ecology’s issuance of individual water rights that supercede instream flows without substantial justification. Over time Washington’s water laws, which historically favored diversion of water for out-of-stream uses, have evolved. In 1917, when the state Water Code was first enacted, the goal was headlong water development for irrigation, public water supply, industrial and other out-of-stream uses. Starting in 1969, Washington water policy began to change. The Legislature enacted a minimum instream flow program that creates instream flows (water rights for rivers) to protect aquatic habitat, recreation, navigation, water quality, and other instream uses. As the Court noted in today’s decision, the goals have changed from helter-skelter development to focus on prudent water management, preservation of water in streams and lakes to protect public values, and avoidance of wasteful practices. The Skagit River is a big river, but many tributaries to the Skagit are water-stressed due to rural development and climate change impacts. These tributaries provide important habitat for salmon spawning and rearing and indeed the Skagit is the only river in Washington that supports all six species of salmon and steelhead. The Court rejected Ecology’s interpretation of the OCPI for two reasons. First, instream flow rights are like any other water right, and exceptions that allow infringement of these rights must be very narrow. Ecology’s broad program of “reserves” for future growth is a not a narrow approach. Second, the Court rejected Ecology’s argument that it could use OCPI to grant new water rights that otherwise could not be obtained. The Court found that the benefits of instream flows are not just quantified in dollar terms, but in public values that transcend monetary quantification. See quote above. The decision in Swinomish Indian Tribal Community v. Ecology is a big win for rivers and people who love rivers and/or depend on them for their livelihood and culture.